Shopping online for mobile phones has never been an easy task. Choosing from so many top brands here on Jumia with the filter search we have on our website to help you narrow your searches, you can be assured that you will see the phone you are searching for in no time. Browse online for an extensive range of smartphones, regular mobile phone, and the low-budget ones. Our filter search will help you select your choice with easy and conveniently too. We have on offer dual SIM mobile phones, the best sellers with touchscreen and various memory capacity and camera types. We have a whole lot of mobile phones operating on the Windows operating system, Android operating system and iPhones operating on the iOS. Before you finally decide which to buy, glance through our collection of mobile phones, check the features and performance ability then select the one want which will then be based on an informed decision you made. 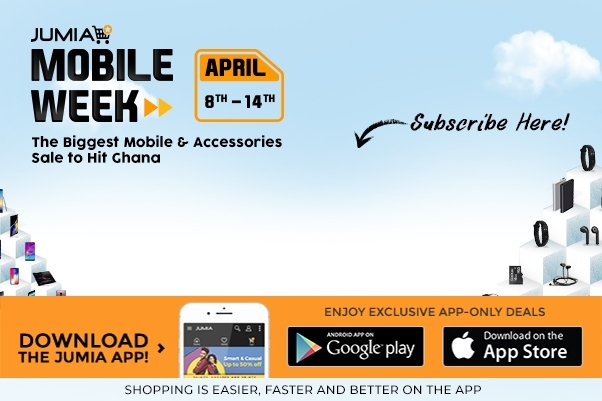 However, if you want to own the latest smartphone in Ghana, you will have to check out the new releases and best sellers segment of our site. Who knows you may also be lucky as to clinching the deal of the day on Jumia. Popular brands that we have on offer for you include are top brands such as Infinix, Motorola, Apple, Samsung, HTC, Lg, Tecno and Fero. Smartphones are fast becoming everyone's first choice of gadgets. New phones will continue to flood the market like the newest release the Wiko Getaway and Innjoo Leap One phone. Mobile phone lovers are lured each day a new phone is out and this trend continues that way. Youth people especially love new features, improvements and they love to be seen with the latest phones as found here on Jumia. The relevance of the mobile phone to our lives cannot be overstressed. In an emergency situation, we are able to reach out for help, in times when we need to do research on the go, we can easily access the internet to search for whatever we want to search for. With the continued revision and improvements on the various operating systems available to mobile phone users, the buzz for these handheld devices will know no end. Discover amazing deals on Apple, Samsung, Nokia, Tecno phones and more. Find the most competitive prices when you buy mobile phones on Jumia.